Lizzo is quickly stepping out from the shadows of the underground and straight into the limelight of mainstream stardom. The Minneapolis-bred rapper/singer is currently on her largest press run to date in the promotion of her upcoming album entitled, Cuz I Love You, set to release on April 19. Cuz I Love You will be Lizzo's third solo album and second major label project release following her 2016 EP, Coconut Oil, which was released through Atlantic Records. Now, with Lizzo in full promo mode and preparing for her upcoming tour kicking off following her appearances at this year's Coachella festivities, she's performing her hit single, "Juice" on the late night and day time talk show market. This time around, Lizzo and her backup dancers, The Big Grrrls, took their talents to the stage of The Tonight Show Starring Jimmy Fallon to perform the initial single off of Lizzo's upcoming offering. Her set began with her and her dancing aficionados silhouetted by purple lighting, all of them dressed in crystal encrusted, black bodysuits. Lizzo flawlessly executed the delivery of her lyrics while her clique performed their choreography to perfection. As her performance was coming to a close, Lizzo stepped onto a platform that highlighted the mirroring jewels on her ensemble creating a mesmerizing disco ball effect. 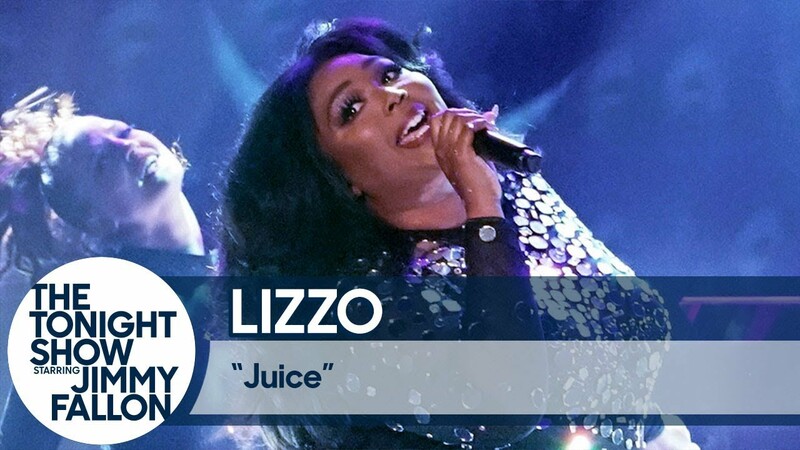 WATCH: Lizzo Premieres Music Video for New Single, "Juice"
Lizzo's Fallon performance can be viewed in its entirety in the video link provided above. Also, be sure to catch Lizzo light it up on tour this upcoming spring tour, tickets for your respective city can be found, here. And lastly, stick with AXS for all of your ticketing necessities.